So, The Lying Game really kept my attention. It was a real page turner. Personally, I really enjoyed it, and would definitely recommend it to you, if you're like me, and really like books that keep you guessing. This book talks about how a teenage girl, named Emma, is a foster child. She watches a video of a girl who looks identical to her being somewhat hurt. She realizes that she has a long lost twin sister, named Sutton, who has gone missing for the past few years. Emma, desperate to find out what happened, pretends to be Sutton, to find out who killed her. The story contains many twists that will keep you on the edge! 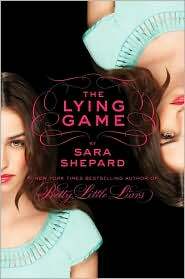 The Lying Game is a fantastic read that will surely keep you wanting more. This book doesn't really have a full ending, because you need to read the second book in the series, Never Have I Ever, that is expected to come out around August 2nd, 2011, to find out what happens. This book really makes you think clearly about reality, and of all the different possibilities life can offer. 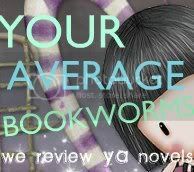 Overall, Sara Shepard's storyline, and the way she incorporated the language, made the book hard to put down. She really represented the essence of how the protagonist felt in ways which words cannot display.